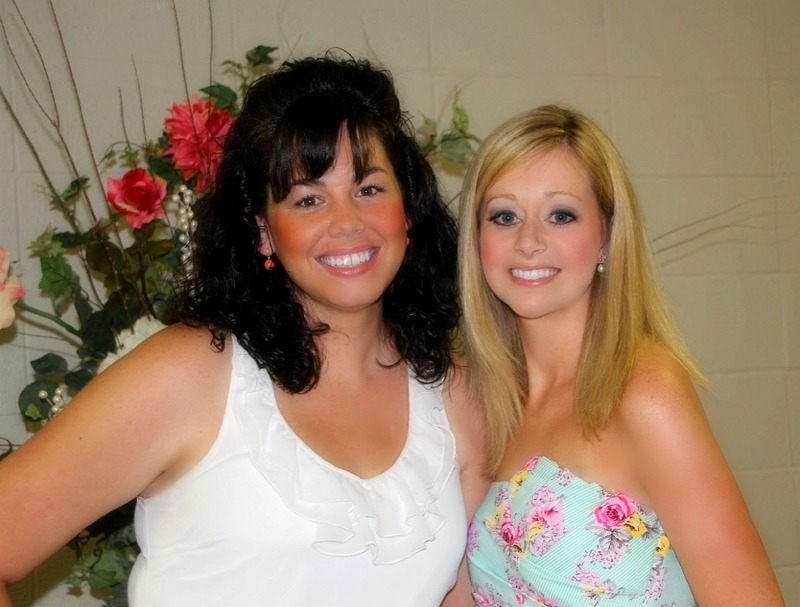 A Blonde Ambition: Bridal Shower Pics...Finally! Did everyone have a great holiday weekend? We sure did! We did lots of nothing which, in my book, is the BEST thing to do. We did catch an amazing fireworks show on Saturday at Beaver Lake. It’s funny, I used to HATE fireworks when I was little because they were so loud and hurt my ears. Now that I’m older though, I love them! I'm not one for wearing obscene amounts of red, white and blue. I mean, I love my country but would prefer not to look like a walking jello mold. Instead, here was my attempt at Fourth of July style...ya like? The top is from a local store called Belle Boutiqe and the brand is Cierce. The jeans are by Joe's Jeans in the Muse style, from here. These are a week late, but I still thought y’all might like to see them. 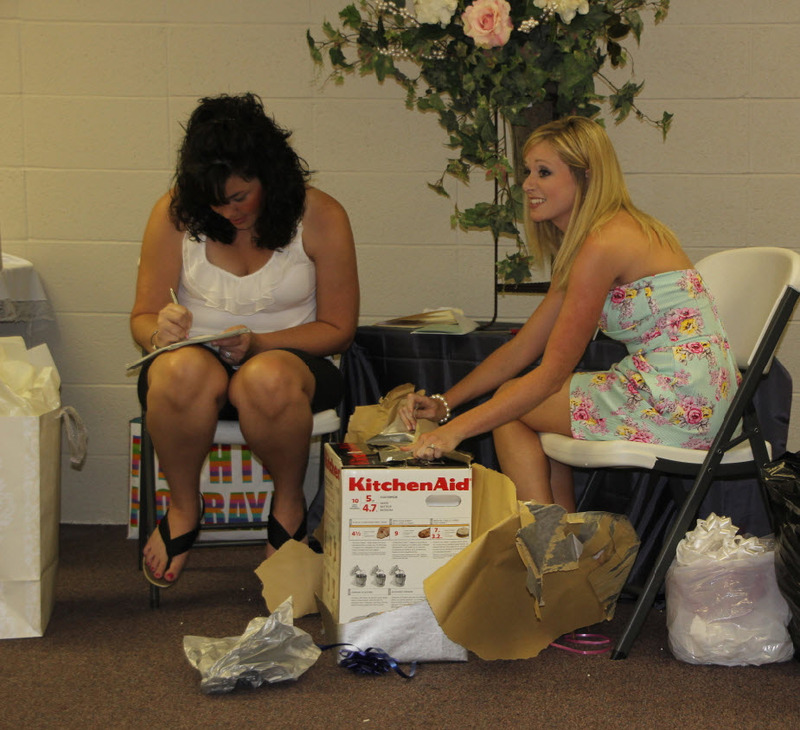 These are pictures from my first of two bridal showers. This one took place in my hometown where I grew up, Heber Springs, AR! 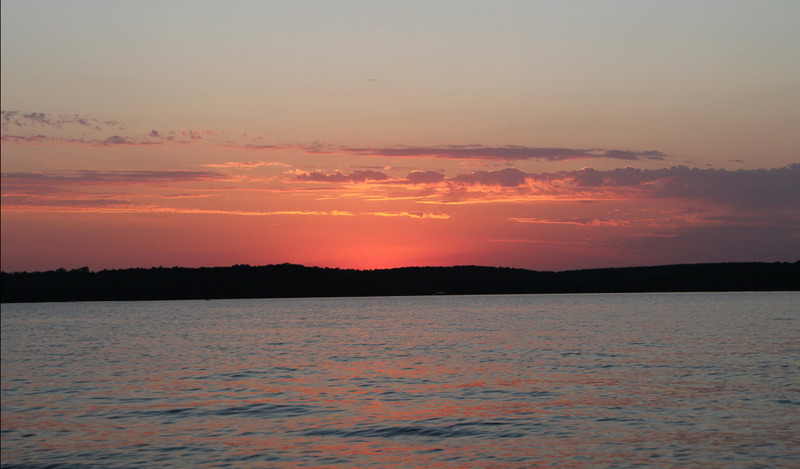 We started the weekend on the lake in Heber...Greers Ferry lake, to be exact. We took my parents out on Stephen's boat and it was SO pretty! 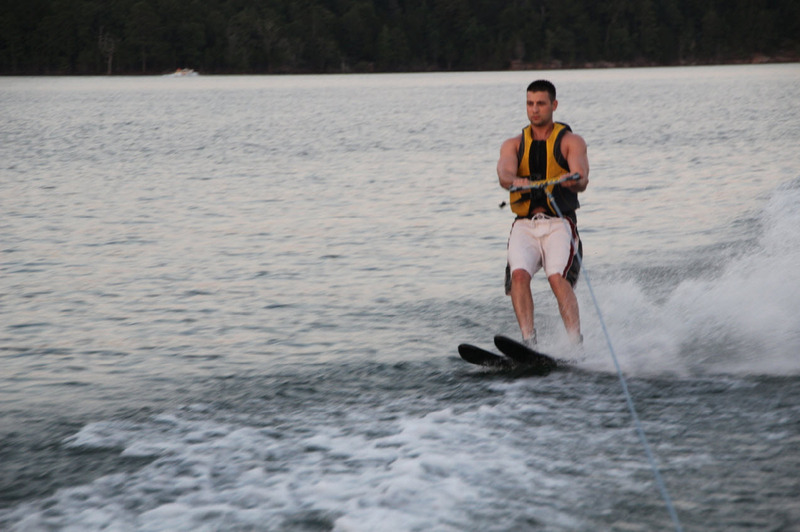 This picture cracks me up because you can see my brother Matthew bobbing on his skis in the background, haha! The next day, it was on to the shower! 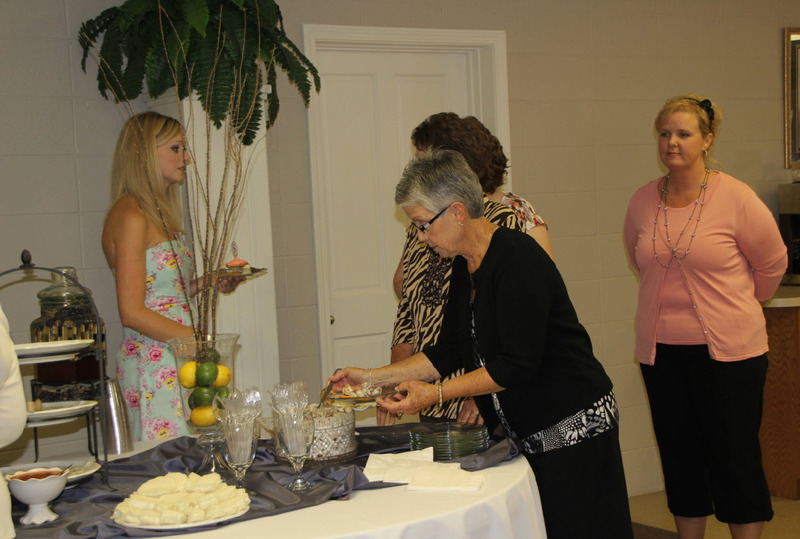 I was so taken aback by how pretty the church kitchen looked when we arrived. 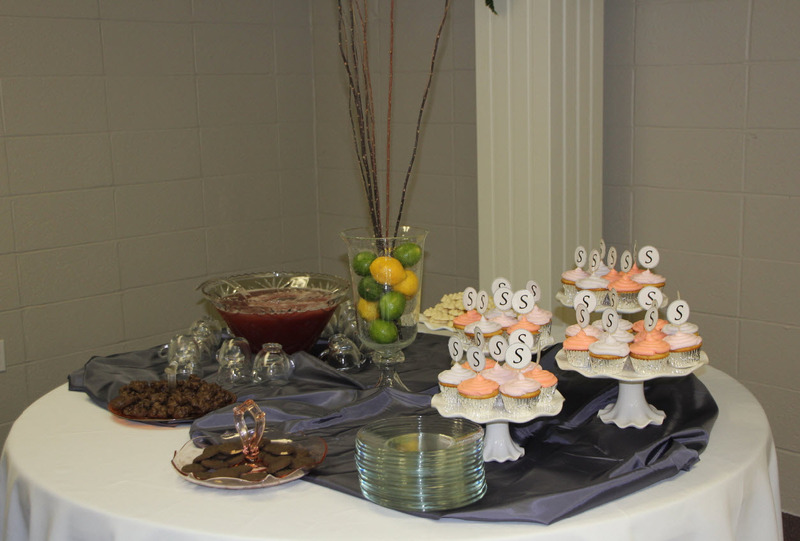 The hostesses really outdid themselves on decorations...so pretty! 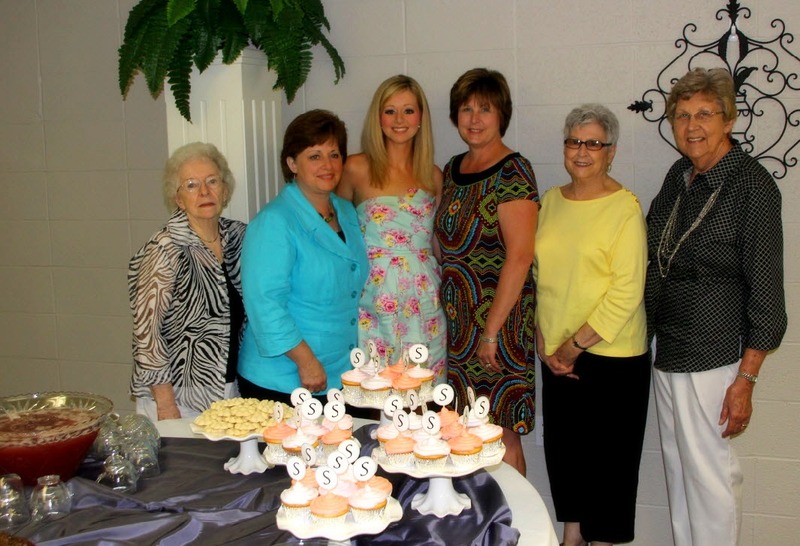 Me with all of the hostesses! One of my dearest and most longtime friends Sarah was the hostess. 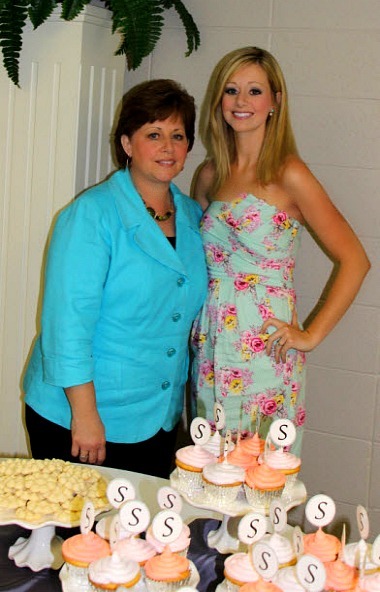 She and her mom and several other ladies did such an amazing job putting everything together. One of our good family friends Cathy made the cupcakes. She is so professional and we always tell her she should quit teaching (she is a schoolteacher) and open a bakery. They tasted as good as they look! Funny story, my cousins in Denver, CO couldn’t be at the shower, so they mailed my gift. They packed it in a diaper box as a joke and it was SO funny to open it up! There were so many confused faces in the crowd…haha! Don’t worry, it will be a few years before we’ll be having THAT kind of shower, haha! Opening up my KitchenAid mixer! 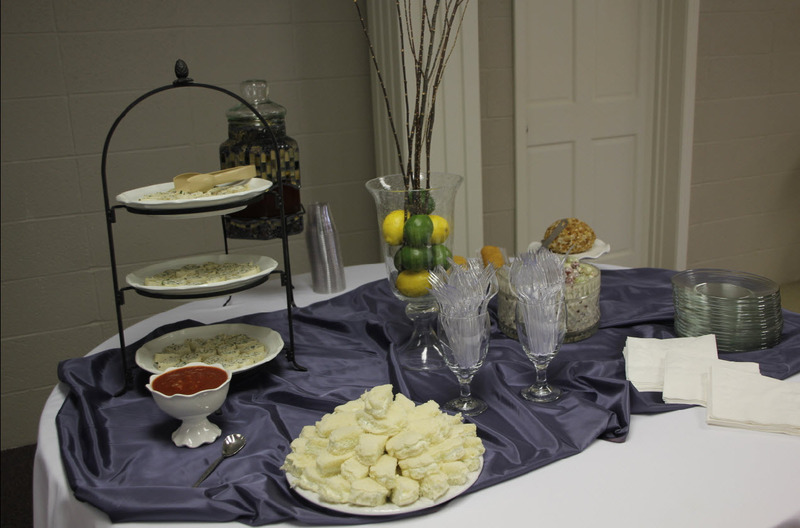 The food tables were just so pretty! Anywho, hope y'all had a great weekend! 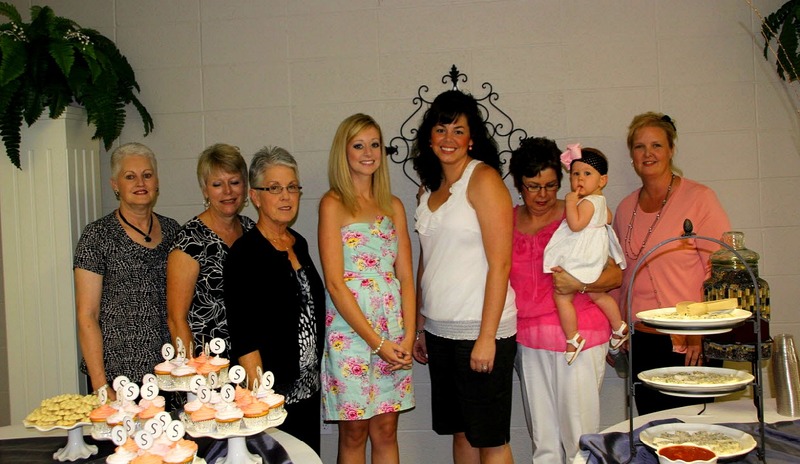 You'll get to see more bridal shower pics in a couple of weeks after my next shower in Fort Smith hosted by Stephen's family! Ha! Looks like it was a wonderful party! You look Stunning! You look beautiful in that dress girl! 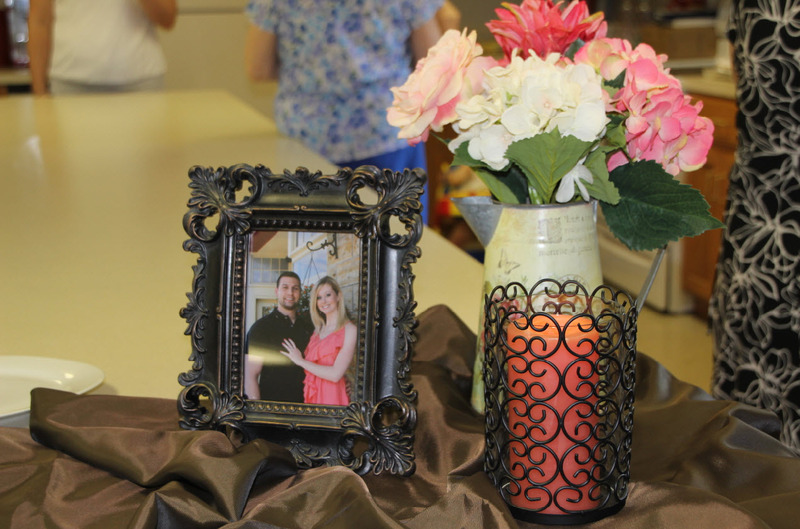 Congratulations on the engagement :) LOVE kitchen Aid mixers! Love the sunset picture. Looks like a great shower!! love the baby wipes too funny!! how exciting! yay for bridal showers! oh and i love your white heels, so glamorous! Fun! I really love your entire outfit for the shower. I love floral, girly dresses. And your 4th outfit is perfect too! Not too over-the-top, but definitely festive. I think I need those jeans in my life. Love dark denim! 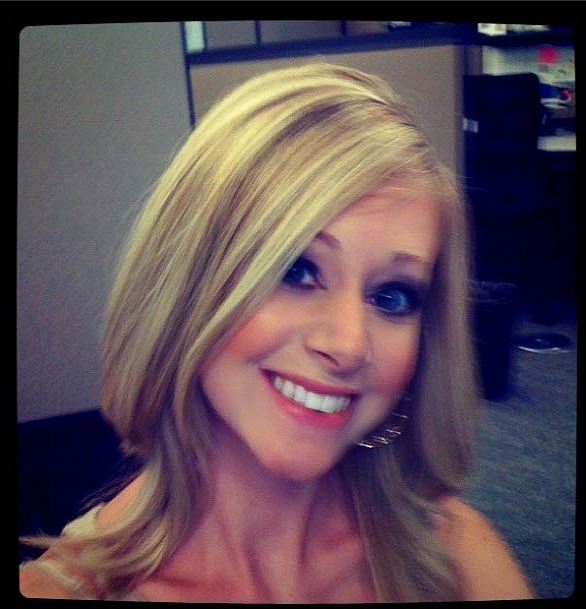 LOVE the sign in the background :) HUGS! The lake looks like so much fun! 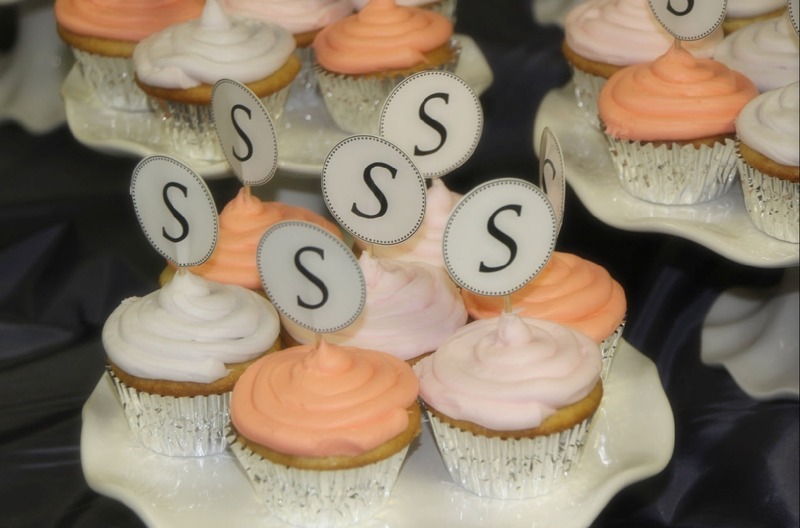 You looked gorgeous for your shower, and everything was precious (especially the cupcakes)! Looks like a fun shower! And... a KitchenAid Mixer!! Yay! Not to sound like a freak, but that is one the gifts I love the most — to this day — from our wedding! Hurrah! I love your 4th of July outfit! Where'd you get the shirt? Hi Jess! The top was purchased at a local boutique in Northwest Arkansas, Belle Boutique, and the brand is Cierce! It looks like it was such a wonderful shower!! Thats my daughters name as well, I spell hers Emalyn.